A quality camera has always been a big part of Galaxy flagships and Samsung is pushing new improvements every six months. 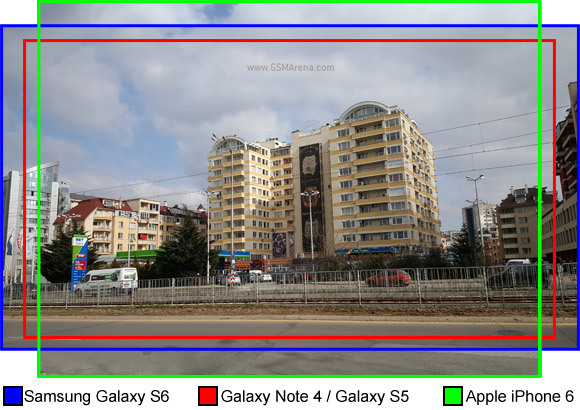 The two-step cadence goes Galaxy S then Note then S again - we're at the Galaxy S6 step of this cycle and it's time for a retrospect of how image quality has developed since 2014. The Samsung Galaxy S5 brought an in-house ISOCELL sensor, while the Galaxy Note 4 was the first Galaxy with optical image stabilization (OIS), Samsung's phone/camera hybrids notwithstanding. In an odd move, most Note 4 sub-models use Sony sensors instead of Samsung ISOCELLs (the one we're using for this shootout is one of them). The Sony IMX240 is at the heart of both the Galaxy S6 camera and the Galaxy Note 4 camera. The 2015 flagship has a wider aperture f/1.9, which lets more light in - that's about half a stop of a difference in photography speak or roughly 30% more light. That's a technical way of saying that the Samsung Galaxy S6 should have a noticeable advantage in the dark for both photos and videos. This allows it to shoot at lower ISO at the same shutter speed as the Note 4 and ISO or lower ISO at the same shutter speed. You already have OIS on the Galaxy Note 4 and S6 to counteract handshake, but that still leaves the blur caused by moving objects - a problem mitigated by faster shutter speeds. The wider aperture also lets you shoot some impressive macro shots with a shallow depth of field, but it may impact the overall sharpness of the camera. Another part of that equation is the software processing, sharpening and color rendering. Samsung has been known to dial up both, but its most recent devices show a trend towards less processed, more natural-looking images. 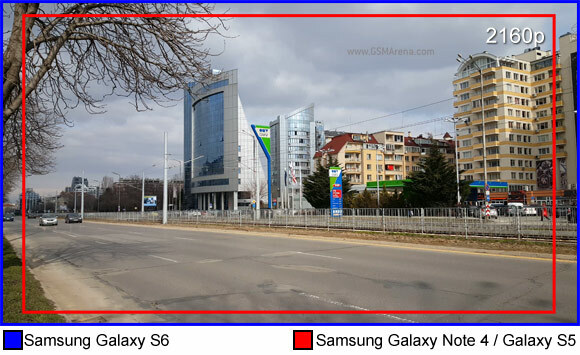 With the Galaxy S6 Samsung has continued on that path which is both good and bad - a trained eye prefers the natural images, but to a casual observer "extra sharpening" and "detail" are the same thing. If you have some experience with cameras, Samsung Galaxy S6's Pro mode lets you tune the image using sliders - manual focus, exposure compensation, as well as highlights/shadows, but unfortunately, there is no sharpness slider. The gold standard for video has been 2160p@30fps since last year and the Galaxy S6 matches that. The wider aperture should give it a leg up on the Galaxy Note 4 and it also has OIS over its predecessor, the Galaxy S5. Samsung uses a combination of OIS and digital stabilization, but the digital stuff is disabled at 2160p (leaving the S5 with no stabilization at that resolution). 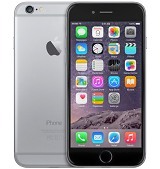 We've got our three competitors ready, so let's mention the fourth - the Apple iPhone 6. It's a very popular phone, making it a very popular camera. Its camera may not be as high in megapixels, but it's equally expensive, arguably equally popular so it may be a good yard stick against the Galaxy trio. We start off with photos in broad daylight on the next page. Note that the Samsung Galaxy S6 we used for this test is a pre-production unit on firmware version G920FXXU1A0BN, which was the latest available as of March 10. Shooting in broad daylight is quite common and the easiest scenario for any digital cameras as there's plenty of light. The Samsung Galaxy S6 has a wider aperture, f/1.9 versus the f/2.2 of its three opponents, but that's not going to help its case in good light. Before we start, we should check out the Field of View (FoV) for each camera - that determines how much of the scene fits into the frame. Also, given the equal resolutions, the camera with the smaller FoV has an advantage in detail as you have less of a scene to capture with the same number of pixels. 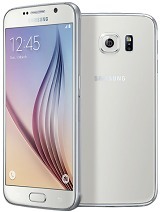 The Samsung Galaxy S6 is the widest in this respect, while the Galaxy S5 and Note 4 are virtually equal. The Apple iPhone 6 captures the least horizontally, but due to its 4:3 sensor it captures more vertically. 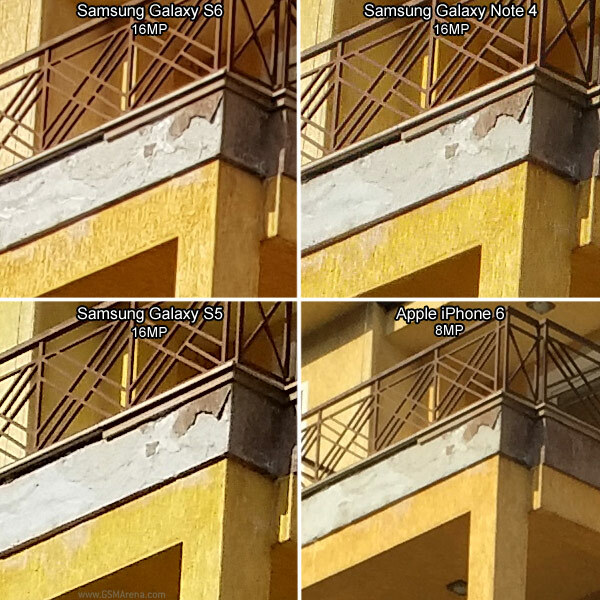 The Galaxy S6 photos have the least noise of the four, however they are slightly softer than Galaxy Note 4 photos, which other than that seems to be the best of the bunch. Part of that is because Samsung dialed back the processing strength for the S6 and the results are more pleasing when viewed at 100%, but they turn out softer. The wider f/1.9 lens on the Galaxy S6 is not as sharp as the f/2.2 lens on the Galaxy Note 4, so matching the level of detail in the final photo without resorting to strong software sharpening is quite an achievement. The Galaxy S5 overdoes it a bit with the sharpening and photos look noisier. The Apple iPhone 6 is behind in resolution, but it's not just the number of pixels - the image itself is softer. Moving on to our second crop, the Samsung Galaxy S6 is again a little softer than the Galaxy Note 4 image, but it managed to capture more of the concrete and stucco texture on the wall. The Galaxy S5 photo is comparable to that of the Note 4, but it took stronger sharpening to get there. The iPhone resolves the least amount of detail, the stucco texture in particular is gone almost entirely. Pro tip: Make note how the extra sharpening makes the digital noise more apparent, an effect that the Galaxy S6 lacks. Here's a close-up of thin, black wires against bright sky. That's the worst case scenario for software sharpening and creates the most visible halos. We upscaled each image 5 times using nearest neighbor interpolation to make the differences clearer. From this the amount of sharpening each camera applies becomes more evident than ever - in the Galaxy S5 it's dialed high up, while the Galaxy Note 4 is moderate. The Galaxy S6 and iPhone 6 use it only sparingly, hardly noticeable until you go beyond 100% magnification. Pro tip: Pay attention to the white halos that follow the black lines - these are the sharpening artifacts. The Galaxy Note 4 level of sharpening can actually be the preferable way to go can actually be better than what the Galaxy S6 and iPhone 6 do in some cases. When viewing photos on a screen, they are almost always downscaled to fit the resolution - an HDTV has a 2.1MP resolution while a 4K UHD is at 8.3MP. When you view the images on any of these screens, the oversharpening halos are no longer visible and you're left with a sharp-looking image, while the more natural Galaxy S6 and iPhone 6 will look even softer. You can sharpen them yourself, of course, but if you just want to snap a photo and share it, then some amount of sharpening is necessary. In our blind test people noticed that the square pattern on the red rug is missing in the Samsung Galaxy S6 photo. The iPhone 6 doesn't render it properly either, also it shows it as orange instead of the actual red. 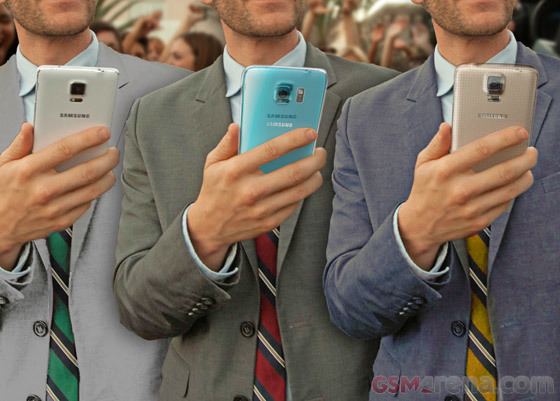 Both the Galaxy Note 4 and the Galaxy S5 do render the squares properly. The Galaxy S5 and iPhone 6 have problems with the green color. The drainage pipes on the green roof start to blend in with the roof itself, while the Galaxy S6 and Galaxy Note 4 keep them separate. 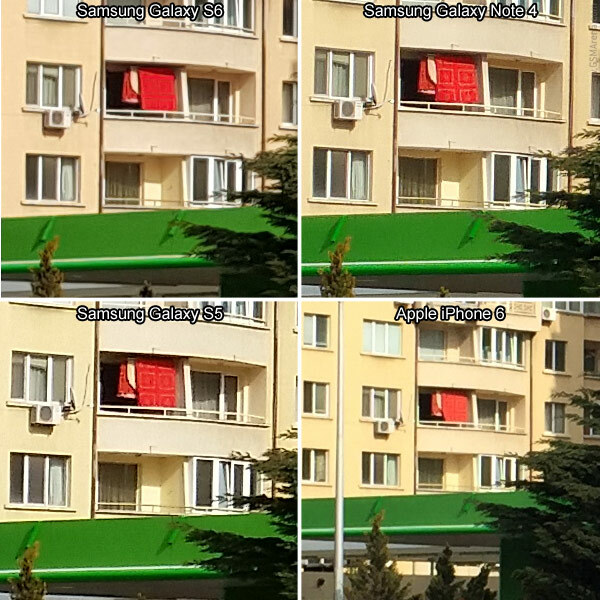 Pro tip: Take a look at how the rectangles on the red towel on the balcony are rendered. Also notice the greens are rendered identically, except for the iPhone 6. We took several photos after sundown and it got progressively darker as we were working. We'll start off in chronological order, with the first photos taken at dusk. Relying on the built-in OIS to combat camera shake, Galaxy S6 and the Note 4 dropped their shutter speed lower than the rest. This allows them to use a lower ISO to achieve the same exposure of the scene, so we naturally, have lower noise issues on their photos. The Galaxy S6 retained very fine detail in the photo - the lines between the windows on the blue building and the text on the banners is crisp. 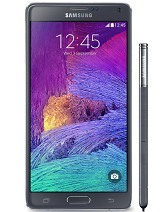 The Galaxy Note 4 did a very good job too, but noise ate into some of the detail. The Galaxy S5 went up to ISO 400 and the noise is pretty noticeable. A few minutes later it was noticeably darker and both OIS-enabled Galaxys went to a shutter speed as low as 1/10s in an effort to keep the ISO low. That's as low as they would go regardless how dark it is. The wider aperture helped the Galaxy S6 use a lower ISO than the Note 4 at this shutter speed and the photo remained crisp without much noise. The Galaxy Note 4 is still breathing down its neck (in part thanks to the stronger sharpening in its default processing). 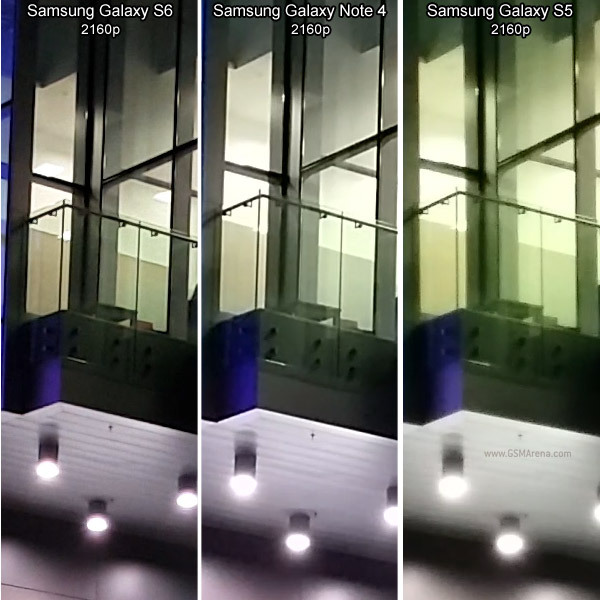 The Galaxy S5 had to boost the ISO even further and the thin white railing is now a blur. We took the final test shot after it was already completely dark. The Galaxy Note 4 activated an automatic night mode, which cannot be turned off but requires you to hold the camera really still. This produced a sharp image and surprisingly the moving cars didn't get blurred too badly. The Galaxy S6 shot at ISO 640 and areas under lighting turned out quite good without the night mode processing. 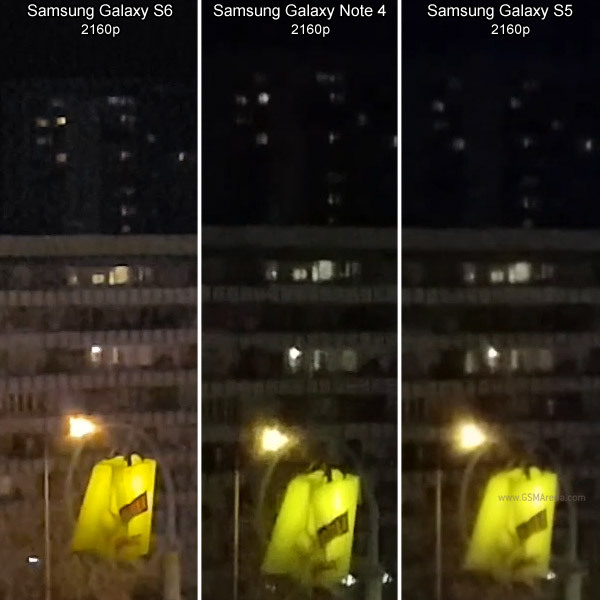 The Galaxy S5 went up to ISO 2,000 and even well-lit areas were buried in noise. Note that we dialed down the exposure compensation on all three Galaxys to keep the lit banners from being overexposed. While the iPhone has been at a resolution disadvantage so far, when it comes to panoramas it matches the rest - all four cameras produce images with around 3,200px vertical resolution. Both Samsung and Apple have perfected their stitching methods and there are no stitching artifacts for static objects (moving objects can still cause issues). The Samsung Galaxy S6 has an accurate white balance, but overexposes the image a bit, while the Galaxy S5 underdevelops the shadows. The iPhone 6's HDR functionality in the panorama mode allows it to do well both in the highlights and in the shadows. The Galaxy Note 4 panoramas have a cold white balance (slight blue tint) while the Galaxy S5 is noticeably blue-tinted. The Apple iPhone 6 errs on the other side and produces a warm (yellowish) white balance. The Galaxy S6 managed to keep things neutral. The Galaxy S6 also captures the most detail though images are slightly softer than the Galaxy Note 4 panoramas. The Galaxy S5 applies more sharpening than the Note, but even then the iPhone 6 retains more fine detail than it. The Galaxy S5 noise reduction smudges some of the more complex textures. All three Galaxys can record 2160p video and the battle here is for prestige. 1080p videos are still easier to share so for most people victory here might be more important. Also, our fourth contestant, the iPhone 6, can't shoot 2160p video at all. 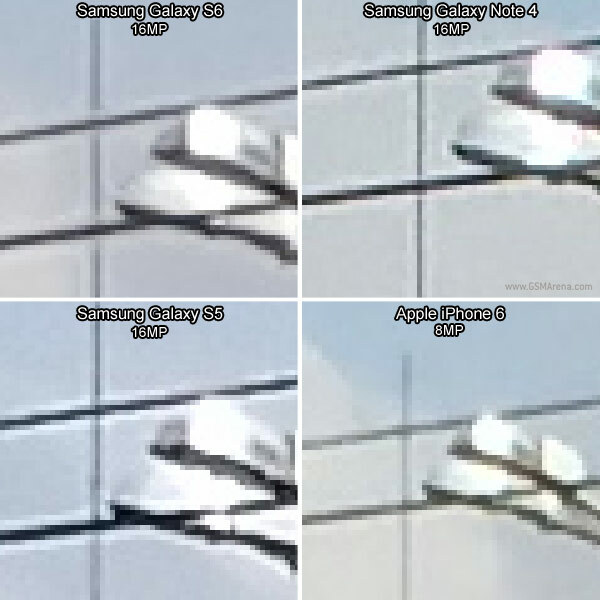 We'll start off with a comparison of the higher video resolution, the results between the three Galaxys being more evenly matched here. The Galaxy S6 dials up the sharpening while the Galaxy Note 4 actually turns it down for a change. Even so, the Note 4 videos capture more fine detail. It helps that it has a narrower field of view than the Galaxy S6 though so you can fit less in the frame. The Galaxy S5 has the same FoV as the Note 4 and it doesn't pull any punches either. It manages to resolve slightly more detail than its successor in some places. The Galaxy S6 offers a better dynamic range and preserves the highlights, which keeps more detail in brighter areas. You can see it in the rectangular lines of the blue and grey building on the left - the lines melt away where the sun's reflection is too bright. As before, the image processing on the Galaxy S6 removes the squares on the red rug, but the green drainage pipes are more clearly defined. The Galaxy S5 in particular masks the pipes almost completely probably owing s to its poorer noise reduction algorithms. 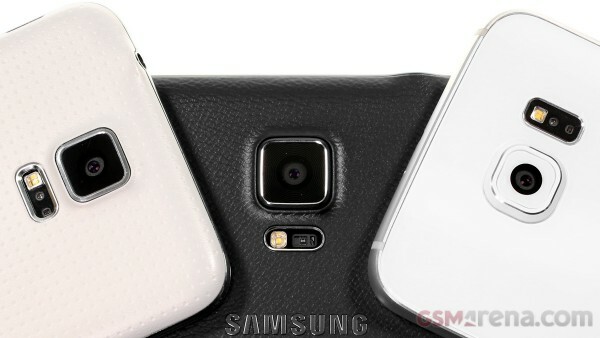 And here's a comparison of the fields of view for the three Galaxy phones. The Galaxy S5 and Note 4 came out practically equal, while the Galaxy S6 is wider. The processing changes for 1080p videos, the Galaxy S6 goes from the widest FoV of the three Galaxys to the narrowest (the Galaxy Note 4 and S5 again being equal). The Apple iPhone is the narrowest of the four, which means it fits less of the scene can dedicate more pixels to each object. The FoV change was the first sign that processing has changed. Looking at the red rug again, it disappears from the Galaxy S5 video leaving the Note 4 as the only _phone_ that captures the squares. They aren't present in the iPhone 6 video (the red is still too orange), but at least it did a good job of resolving the green roof drainage pipes. The change in processing has the Galaxy S6 overexposing the bright areas, while still under developing the shadows. 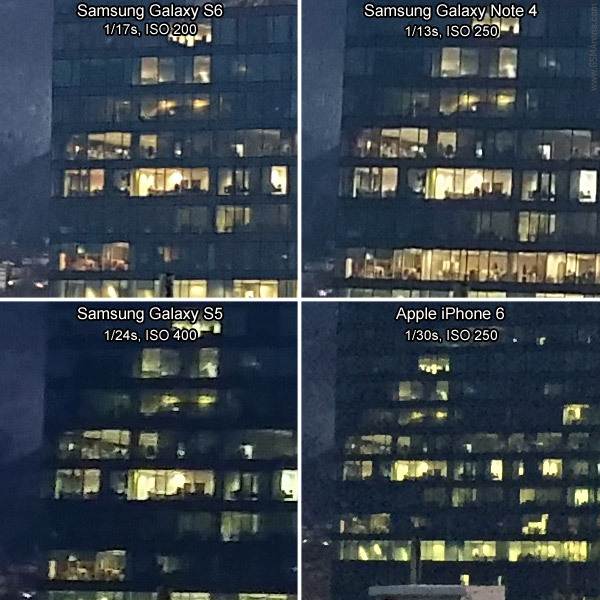 The Galaxy S5 left shadowy areas entirely too dark, while the Galaxy Note 4 and the iPhone 6 found a good balance. Samsung Galaxy Note 4 videos are the sharpest (despite the widest FoV, but in part thanks to software sharpening) and are rich in detail. The iPhone 6 is very competitive and rivals the Note 4 without resorting to sharpening, but the narrower FoV sure helps it make up the difference. 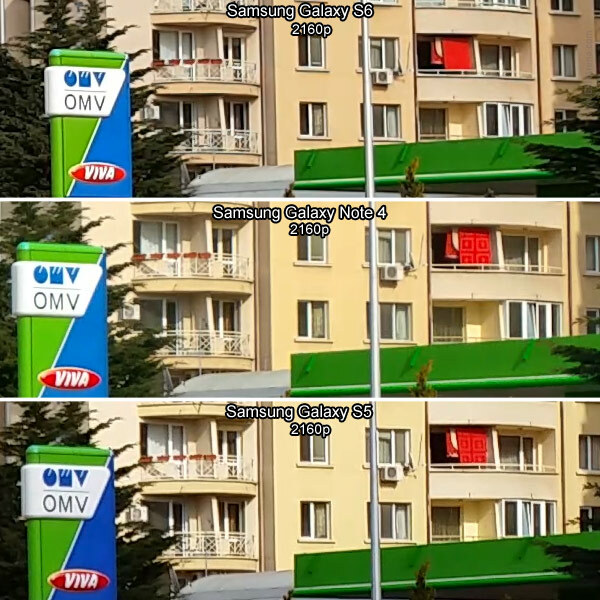 The Galaxy S6 sits in the middle in terms of FoV. The sharpening of the 2160p videos is gone and frames have the slight softness typical of the still camera. The Galaxy S5 lead foot approach to sharpening is noticeable here as well, but it also captures some more detail than the Galaxy S6. The shadows are too dark and that removes the detail from a big part of the image. All of these videos play back at a solid 30fps framerate. The 2160p ones are captured at 48Kbps, while the 1080p ones are at 17Mbps. In more real world numbers that's around 350MB for a minute of 2160p video and around 125MB for a minute of 1080p video. Keep this in mind since neither the Galaxy S6 nor the iPhone 6 have expandable storage. Also, all phones apply a time limit on 2160p video - it's up to 5 minutes. That's reasonable, considering a 5 minute clip will eat up 1.8GB. Image quality is only part of what makes a video good, the other part of the equation is audio. The three Samsungs record stereo sound at the generous 256Kbps bitrate (48kHz sampling rate), while Apple is yet to update the iPhone's audio capture - currently it stands at a lowly 64Kbps mono (44.1kHz). Have a listen to the videos. In the ones from the Galaxy trio you can clearly hear cars as they cruise past and you get the positional information from stereo. In iPhone 6 videos sounds merge together and you can't tell which way the cars are going just by listening. The same night we shot the low-light photos we also recorded a number of videos. Let's look at the 2160p clips first. The first scene is against well-lit shop windows. 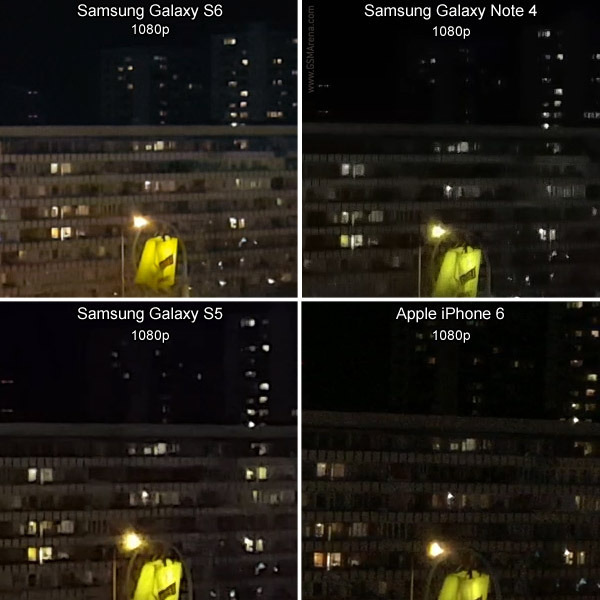 The Galaxy Note 4 brightened up the shadows more than the Galaxy S6, but that increased the noise as well. The Galaxy S6 videos are crisper than those of the Note 4. The Galaxy S5 does quite well too, though noise in the darker parts of the frame eats into the fine detail. 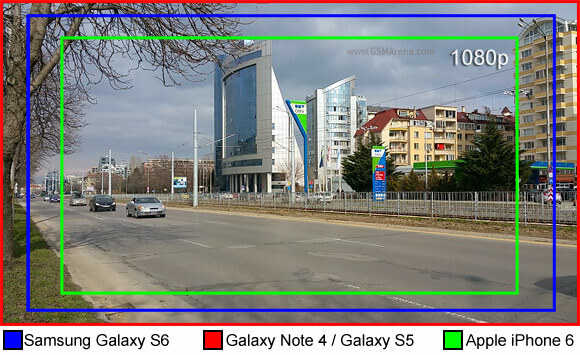 Without so much help from artificial lighting, the Galaxy S6 extends its lead in the UHD video recording department. Its videos have the most details in the dark and the colors are kept fairly accurate. The Galaxy Note 4 does well in well-lit parts of the frame, but the darker areas are quite noisy. 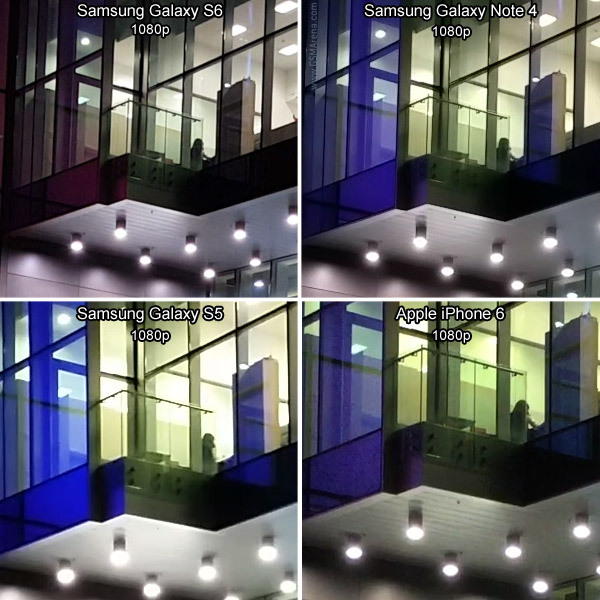 The Galaxy S5 video gets quite noisy, which swamps out the detail. Time to go to 1080p video resolution and include the iPhone. 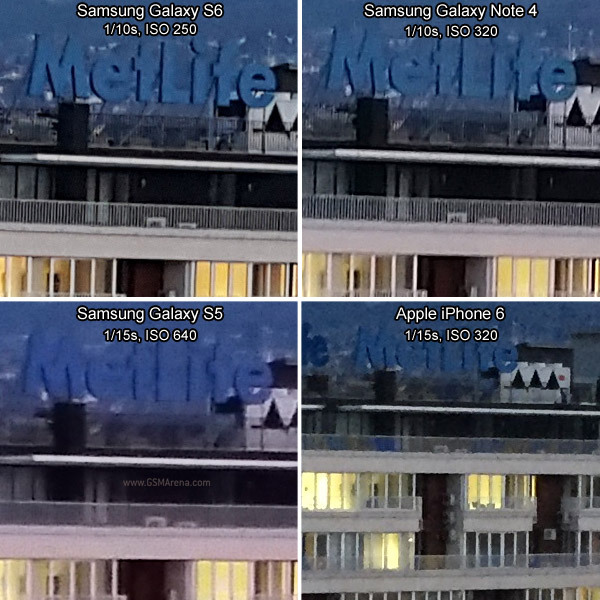 The noise reduction is the strongest in the Galaxy S5 video, but the Galaxy Note 4 also removed some of the finer detail. The Samsung Galaxy S6 kept the most detail, while the Apple iPhone 6 came fairly close to it. Without strong artificial lighting, the Galaxy S6 shows its advantage again with accurate colors and detail in the dark. Sharpening helps the Galaxy Note 4 do well in the well-lit areas, but there's little to be seen in the dark. 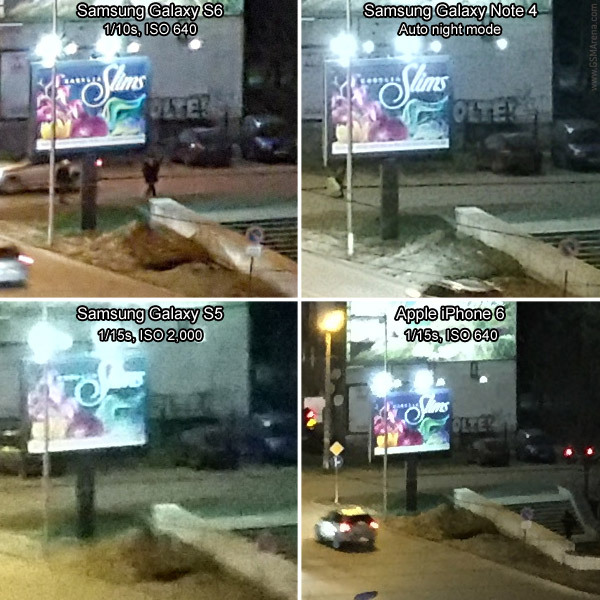 The Galaxy S5 can't match the crispness of the other two Galaxys and noise is visible even in the banners under artificial lighting. While noisy, the Apple iPhone 6 videos look good both in the well-lit and dark areas, though its narrower field of view helps it along. Optical image stabilization is a first for the Galaxy S line, having previously landed on the Galaxy Note 4. Both devices also include digital stabilization, though that's available only on 1080p@30fps or below. That is 2160p and 1080p@60fps videos rely only on OIS (which is always on), while 1080p@30fps can also use the optional digital stabilization. Here's the Galaxy S6 and the Galaxy Note 4 at 2160 (so only OIS is enabled). The new flagship absorbs vibrations from footsteps better than its phablet sibling. Note: We've downsampled all videos to 1080p - the purpose of the videos on this page is to showcase the vibration reduction rather than image quality. 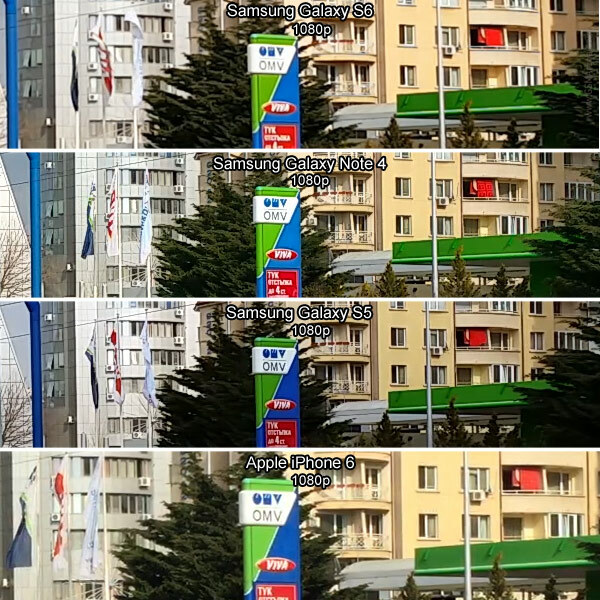 The Galaxy S5 has only digital stabilization though not at 2160p resolution. This leaves the videos shakier compared to the Galaxy S6. 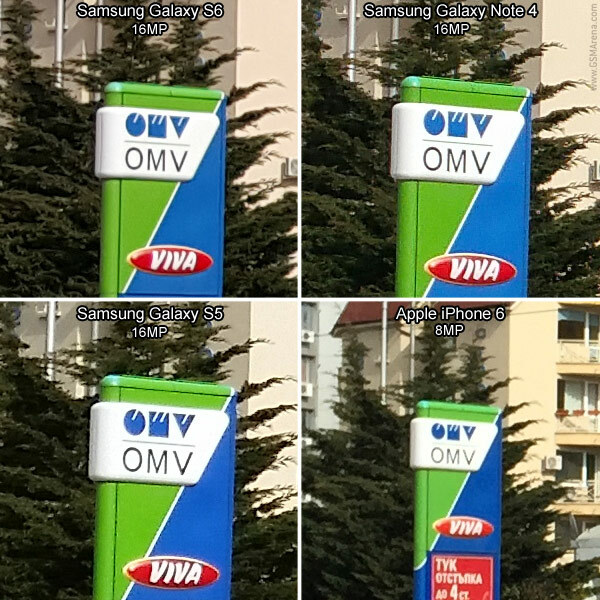 The Apple iPhone 6 has the best digital stabilization around, but digital stabilization always comes at the cost of noticeably reduced FoV - even on the Galaxy smartphones. In the video below we have it on, so both have a reduced Field of view. You can turn it off on the Galaxy S6 to gain a bit wider view. This was a shootout between four phones, but the real question is whether the Samsung Galaxy S6 has improved over its 2014 predecessors. 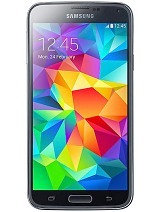 A full year divides the Galaxy S5 and S6 and between them there was distinct improvement. The Galaxy Note 4 is more recent and benefits from some of the same camera improvements that the S6 boasts, most notably, the Sony IMX240 sensor and the optical image stabilization. Galaxy S6's contribution to the camera department is a wider aperture f/1.9 and the newly added Pro mode. We haven't really seen apertures this wide on a smartphone (save for the Nokia Lumia 735, and that was a 6.7MP camera), so it was interesting to see it perform in the dark. The combination with OIS seems to be a winning one - it can keep ISO low with slower shutter speeds, but not too slow. Both still photos and videos capture more detail and less noise compared to the Galaxy S5 in the dark. The difference gets bigger with the fading of the light - the S6 took usable shots where the S5 smudged the whole image. The new model tops the Galaxy Note 4 as well, though the difference here is slimmer. Recently Samsung has been changing its tune - the bloated TouchWiz got trimmed, the aging hardware design was revamped and the camera software known for oversaturation and oversharpening has now done a 180° too. Daylight photos appear softer than the Galaxy Note 4, but that's largely because the Galaxy S6 applies almost no sharpening. This (and the generally improved camera) keep the noise to a minimum, the images look less processed and less like a typical _phone_ camera shot. As we concluded, there were some issues with color processing in the red channel, but that was more of an edge case than a consistent problem. The Apple iPhone 6 is a new device though its basic camera hardware has gotten only incremental improvements since the iPhone 4S. It held its own at 1080p video (both at day and at night), panorama too, but the 8MP sensor is holding back the camera. The Samsung Galaxy S6 camera is a definite upgrade over the Galaxy S5 - especially in the dark, but visible in the daylight too. As for Galaxy Note 4 users, there's no reason to toss out your beloved phablet yet but this is a great preview of what's coming with the Note 5.